The illustrations for Oliver's Tree are warm and homey with an older, Winnie the Pooh feel to them. The book teaches a valuable lesson about helping friends. Oliver is sad that he can't climb in the trees like his friends while they play hide and seek far above the ground. While he walks away pouting and disappointed, his friends rally to build a tree house where they can all play together. The book really is quite reminiscent of a Winnie the Pooh story. It's simple and sweet. Oliver's emotions get the best of him, but that happens to most of us at some time or another, and it sure makes a difference when we have good friends to help us through. "Elephant wants to play hide and seek. You can play too, but you'll have to try your best, he's very good!" --Back cover. In this sly activity board book from celebrated international favorite Taro Gomi, young readers will delight to find hidden objects amidst familiar characters. When a crocodile's dangerous smile can become a shiny toothbrush and a butterfly's camouflage transforms into adorable heart shapes, there's no telling what comes next! Kids will love learning that not everything in this world is as it seems. Sure to be a hit during both storytime and playtime! A kitten doesn't want to take a nap in this book about opposites by the author of Early Bird. It's naptime, and Cat is ready for Kitten to settle down. But Kitten has other ideas!In this book filled with opposites (big and little, black and white, sleepy and awake) Toni Yuly proves once again -as she did with Early Bird and Night Owl - that simple concepts come alive for the youngest readers through bold art and charming language. Giraffes make the best pets! Follow a little girl and boy and their pet giraffe as they spy, dress up for Halloween, and play hide-and-seek! A beautifully illustrated, graphic alphabet book with a fun search-and-find twist. If a picture is worth a thousand words, what’s in a single letter? Everything in A B See! Because hidden in each graphic letter are tiny troves of ABC treasures waiting to be found by sharp-eyed readers. Can you find the apple, arrow, and armor in the letter A? Or the bear, banjo, and bike buried in the letter B? Read along in this unique alphabet board book that asks audiences to A B See beyond the ABCs. Otis and his farm friends love to play hide-and-seek. Otis especially loves to be “It,” finding his friends as they hide. Yet when the newest addition to the farm—a bounding puppy who can’t sit still and has a habit of licking faces—tries to hide, he finds his attention wandering and is soon lost in the forest. Night falls and Otis, knowing his new friend is afraid of the dark, sets out to find him. There’s just one problem: Otis is also afraid of the dark. His friend is alone and in need, though, so Otis takes a deep breath, counts to ten, and sets off on a different game of hide-and-seek. From the critically-acclaimed illustrator of The Little Engine that Could, Of Thee I Sing, and Otis. Babysaurus loves playing hide-and-seek with his Papasaurus. But one day, no matter where he looks, he can't find him, so Babysaurus turns to his prehistoric friends for help. Where can his Papasaurus be? Of course, Papasaurus has been right there all along, and when Babysaurus needs a little help, Papasaurus is ready with a big kiss and more games. This colorful and reassuring book is a fresh twist on a perennial theme that will win the hearts of little ones and their papas alike. Try to find the big, bad wolf in this colorful peek-through story! Can you find the big, bad wolf? Peek through the holes and turn the pages to search for the wolf in the woods. Clever, colorful cutouts in this board book will captivate and delight, but the biggest surprise is hiding in the pages! Will you find the wolf in the end? Hide-and-seek fun with sturdy sliders! This silly but stylish slider book is sure to give little ones a giggle. They'll love joining in a game of hide-and-seek as they move the sliders to reveal the lion hiding in every scene. Is it in the restaurant? Or at the beauty salon? Just push the slider to find out! With beautiful artwork from Lydia Nichols, the whole family will enjoy reading and playing with this fresh new novelty series. A wondrous and beautiful A-to-Z guessing game from the bestselling author of Room on the Broom From ant to butterfly to caterpillar . . . to zebra and then back again, Animalphabet is an entertaining puzzle as well as a gorgeous alphabet book to treasure. Who can slither better than a rabbit? A snake! Who can growl better than a snake? A tiger! There are clever hints and peekaboo holes within the artwork that will amaze and delight young children as they learn to use the alphabet. This is a preschool must-have. Fall into this award-winning seek-and-find book with its richly timeless style and get swept up in a treasure hunt through Grandad’s wild house! The children want to go to the park with Grandad, but they can’t leave until they find his lost socks…and his shoes…and even his teeth! Will they ever get out of Grandad’s busy house? With a trove of wonders to discover on every page, this seek and find book will enchant young and old alike as they search for Grandad’s lost objects. Oversized dimensions, a textured paper-over-board die-cut cover, eye-popping color, and elaborately complex spreads on every page make this book a collector’s item and a must-have. Hide-and-seek fun with sturdy sliders! This silly but stylish slider book is sure to give little ones a giggle. They'll love joining in a game of hide-and-seek as they move the sliders to reveal the dinosaur hiding in every scene. Is it behind the sofa? Or in the shower? Just push the slider to find out! With beautiful artwork from Lydia Nichols, the whole family will enjoy reading and playing with this fresh new novelty series. "Deep in the forest, early in the morning, the animals slowly wake except the panda, who is sleeping in. The monkey stretches, the red ant hides, the black bear yawns, and the gazelle smiles. But where is the okapi? Can you find it?" Over 50 animals including the okapi hide on the pages of this beautiful board book. The gorgeous forest scenes take readers from morning to night, from high in the trees to deep underground. "Deep in the Forest" is as much a visual treat as it is an introduction to exotic animals. " Ready or Not, Here Comes Peanut Butter! Play hide-and-seek with Peanut Butter, Cupcake, and all their friends in this scratch-and-sniff board book. Young readers will have fun using their noses to find out who's hiding where! Scratch and sniff to help Peanut Butter find Cupcake, Soup, Hamburger, French fries, Ice Cream, and Jelly in this delicious-smelling book! This book does not include any peanut butter scratch-and-sniff elements. Sophie Mouse and her friends are playing hide-and-seek near Butterfly Brook. Sophie finds the perfect hiding spot, but she also finds a glowing cave. The problem is, when Sophie tells her friends about her discovery, they don't believe her! Illustrations. 5 1/2 x 7 5/16. LEARN WITH ME: This fun, interactive flap book helps early learners build basic preschool skills! Can you name the colors of all the cars? Of the kite? Which colorful object is the odd one out in the group? This cheerful book will entertain preschoolers for hours as they lift the 40 flaps, answer questions, and spot and identify the different hues. It's the little series that could: Indestructibles are innovative books built for the way babies read. Printed on a unique, nontoxic, paperlike material that holds up to anything babies throw at them, Indestructibles are rip proof, chew proof, drool proof and gum proof. They’re 100% baby safe—and they’re washable. When a book gets dirty, just throw it in the dishwasher or washing machine, and voilà, the book is back and ready for more. Featuring the second set of titles by Kate Merritt, whose distinctive and colorful collage illustrations are as adorable to parents as they are to babies, here is a new Indestructibles that is a joy to read aloud. Baby Peekaboo celebrates the favorite playtime game while teaching the concept of object permanence. “Who’s hiding behind the toys? Peekaboo! It’s Puppy!” Simple, engaging text encourages language development, and each spread is filled with sweet details. Unfold the sturdy pages to spot all the farm fun in this rhyming search-and-find book! Can you find the sleepy calf, the galloping horse, and the noisy rooster in these colorful farmyard scenes? With chunky foldout pages, there’s lots to spot in this exciting, rhyming search-and-find book that’s made for younger readers! Yoo-hoo, Ladybug! Where are you? There you are… afloat in the bath, with Duck and Giraffe! Ladybug loves to hide. Come along on a treasure hunt to find this sneaky little bug, wherever she may be! Children will delight in this picture book game of hide-and-seek and will eagerly read along, pointing out Ladybug’s newest and cleverest hiding spot time and again. A one-of-a-kind ocean adventure with Dottie Dolphin! When Dottie Dolphin dives deep into the ocean to play hide-and-seek with her siblings, she discovers a wonderful world of ocean animals. Join Dottie and her new friends beneath the waves in this interactive story with flaps to lift and colorful, detailed underwater scenes by best-selling nature illustrator Maurice Pledger. 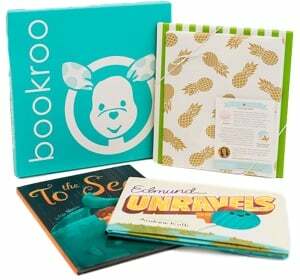 An adorable padded board book for parents and children! Little Bunny is excited today. Outside there's a treasure hunt game to play. In this fun and playful story, Mommy Bunny has set up a scavenger hunt for Little Bunny and Fluffy Squirrel. They look in the bushes, under the swing, on the ground, and in the tree until they finally find the treasure--a picnic for the both of them! This beautifully illustrated board book is the perfect gift for new parents! It’s fun to play hide-and-seek with a brother, or build a fort, or jump in puddles. You can make a brother laugh, play baseball together, and keep each other company when Mom and Dad go out. A brother is a lifelong friend. Sisters and brothers alike will enjoy lifting the flaps of this adorably illustrated book, brimming with cheerful, colorful art, to see all the ways a brother is special.